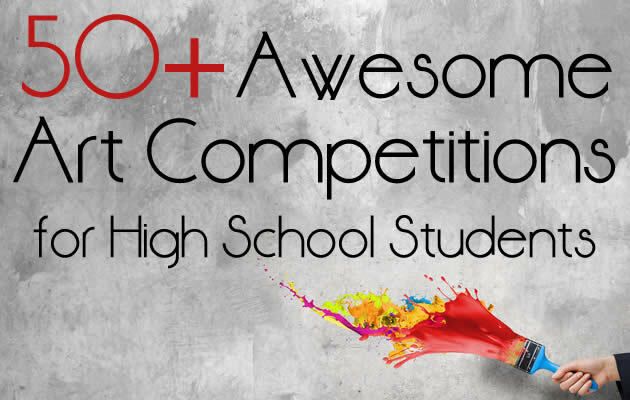 This article contains a comprehensive list of local, national and international high school Art competitions for students aged 13–18 years. It is regularly updated with painting, drawing, design, sculpture, video, architecture and fashion design competitions from around the world and focuses on those that offer significant prizes, fame or glory. Competitions can be a goldmine for Art students, offering money, scholarships, product vouchers, overseas trips, promotional opportunities and other prizes. With digital submissions common, those in disadvantaged countries can often compete on an equal footing, winning prizes that convert handsomely to a local currency. As well as the monetary benefits, prizes and awards can provide excellent fodder for university applications or CVs/resumes. The fame and social media attention garnered from a winning entry can also be just what is needed to launch a creative career. CASE STUDY: Shania McDonagh, from Mount St. Michael Secondary School, was awarded €1,500 for coming first place in the Texaco Children’s Art Competition. 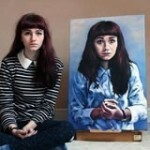 Her work became a viral sensation, featured on popular websites such as the Irish Times, Yahoo, Huffington Post, Buzzfeed, ViralNova, Collossal and Bored Panda. Her winning pencil drawing was shared on Facebook over 100,000 times and reached a much larger number of admirers and potential fans. ‘Shania McDonagh‘ is now a frequently searched in Google, as well as the phrase ‘Shania McDonagh art for sale‘. (To capitalise on this publicity that results from winning a competition, we recommend that keen Art students create their own website to promote their work and grow their fanbase – especially if you are hoping to establish a career in a creative field). No, this is not a photograph. 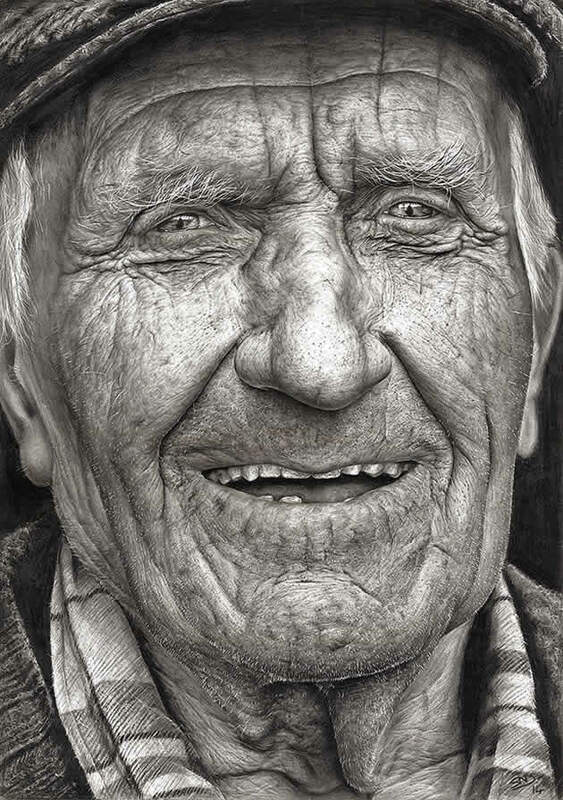 This stunning pencil drawing by 16 year old Shania McDonagh was the winning entry in the 2014 Texaco Children’s Art Competition. No one needs to know that you have entered. You have nothing to lose and everything to gain. Everyone else has the same fear as you, so the number of people who enter is surprisingly low – especially for competitions that are less well known (like many of the ones on this list). Of those who do enter, many are ‘whole class’ submissions, where a teacher has required whole class participation. Your serious competitors are far fewer than you think. Judges sometimes favour unexpected work – it is not always those who produce exceptionally realistic artwork who win. Your creative approach might be just what the judge is looking for. You may have already produced appropriate work as part of a school project or may be able to tailor an upcoming school project around a competition brief. Digital submissions can also mean it is possible to enter multiple competitions using the same work (check particular rules of each competition to make sure this is allowed), so this can mean that much less time is required to submit an entry. The art competitions below are categorised by location, beginning with international competitions and then focusing upon those for specific countries. The Adobe Youth Voices Awards is a global competition that encourages and empowers youth around the world to express their desire for positive change through visual storytelling. Applicants are invited to investigate issues that are significant to them and to propose possible solutions that might resolve these issues. Submissions can be made into the following entries: animation, documentary, music video, narrative, poetry/experimental, photo essay or poster campaign. The top 3 submissions from each category are awarded an Adobe Youth Voices Award, with prizes for the artists and their school. 1st place prizes include a US$2,000 donation to a charity of choice, an Adobe Creative Cloud membership and 3 Samsung Galaxy Tablets. Winning works also receive international exposure through multiple online and traditional media coverage. The Apocalypse Art Prize is a free painting competition. It aims to encourage young artists to use the Medieval style of manuscript illumination (with resources on their website to help applicants). Applicants must select three subjects from the list of set subject-matter, creating a triptych (set of three paintings that form one work) painted using traditional mediums: gouache, watercolor, egg tempera, distempera, acrylic, oil based painting mediums, or a mixture of these. There are three age groups: 16 years + (competing for prizes of $7,000, $3,000 and $2,000); 12-16 years (competing for a $2,000 prize); and younger than 12 years ($1,000 prize). This competition aims to showcase the creative talent of those with autism. The competition is open to people aged 11-25 years old that are formally diagnosed with an Autistic Spectrum Condition. There are 5 main categories to enter: 2D Art, 3D Art, Digital Photography, Digital Animation and Poetry. All finalists are invited to the awards ceremony in England as well as presented a £25 Amazon voucher. Highly commended works and winners of the People’s Choice Award receive a £50 Amazon voucher. Overall category winners receive a Kindle Fire HD and their school or organization receives a Create! Artbox. The competition is free to enter. Have you always wanted to design your own bag with the prospect of having it manufactured and produced? Hosted by Fashion Access trade fair, the Design-A-Bag competition is a great opportunity for applicants to showcase their work in front of prominent people in the fashion industry. Cash prizes of US$500 to $US1,500 are awarded for outstanding designs across each category. The best overall design receives a four week leather goods pattern making course in Milan, valued at €5,000. This course enables the winner them to design their collection, which is then exhibited at the Fashion Access Fair held in Hong Kong. There are also air tickets to the awards ceremony, held in Hong Kong, to be won. Applicants must submit three illustrations of their design including two different views of the bag and a technical, scaled drawing. Descriptions, swatches and colours must also be included in the submission. The competition is open to all design students and hopeful designers around the world. No entry fee is required. Doodle 4 Google is a competition designed especially for school children, providing them with a unique opportunity to have their design featured on their country’s Google homepage. The competition runs in many different countries with a changing theme each year. Children must submit their doodle along with an application form and short description of what they have created and why. All submissions are grouped and judged in age groups and are critiqued in terms of artistic merit, creativity, and how well the theme is communicated through the artwork. The winner has their Doodle featured on the Google homepage for 24 hours, as well as some serious prizes for them and for their school. 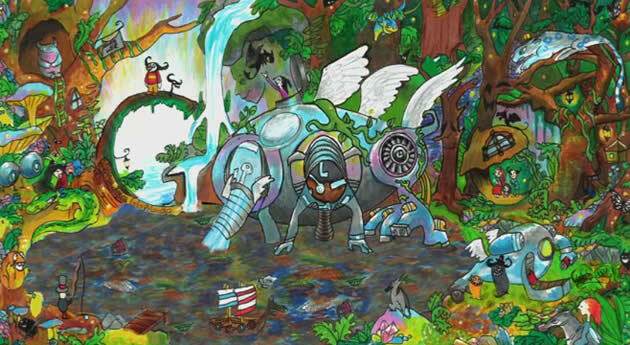 The winner of the 2014 US Google 4 Doodle competition (shown below) won a $30,000 college scholarship and a $50,000 technology grant for their school. Google also donated $20,000 to provide improved facilities in 10 other schools in Bangladesh, in honour of the chosen design. To locate the Doodle 4 Google competition for your country, alter the website address so that it has the extension for your country (such as .co.uk or .co.nz). Doodle 4 Google is free to enter. In response to the theme ‘If I Could Invent One Thing to Make the World a Better Place…’ Audrey Zhang produced a coloured marker drawing of a water purifier that transforms polluted water into clean, sanitary water. The Google team animated this, before it appeared on the Google home page for a day. The annual International Photography Awards (IPA) is open to photographers of any kind, residing in any country across the globe. There is a vast range of categories to enter in and many prizes to be won. The winners of the main categories are invited to attend the Lucie Awards. The grand winner is titled International Photographer of the Year and receives a cash prize of $10,000 provided by AtEdge. Cash prizes of US$5,000 and US$2,500 are also awarded to the winners of the non-professional and student categories. 40-50 images from both professional and non-professional entrants will be displayed in an exclusive show in New York. The curated images also travel to other countries to be exhibited in photo festivals and galleries. Entry fees range from USD$15-USD$35 depending upon the category entered. All entrants must be 18 years or older. The Autodesk SketchBook Express app is a sketching and painting software that provides any user with the tools to create professional, quality works of art. The ‘Live it. Sketch it. Share it.’ competition requires entrants to create a drawing using the app based on the theme, ‘My Story’. 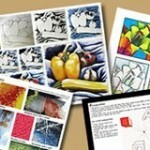 From abstract art to realistic sketches, applicants are free to interpret the theme as they wish. The competition is open to anyone aged 13-24 worldwide. To enter, download the free Autodesk SketchBook Express app for Android, iOS and desktop, create your design and share it with your friends and family. Six winners will receive a prize pack valued at US$2,500, including a Wacom digital design tablet. There are more prizes to be won for finalists and their schools. After her experiences at sea, Linda Cabot wanted to inspire and encourage young people to think carefully about the ocean. In 2011, she began the annual Ocean Awareness Student Contest in partnership with the Gulf of Maine Marine Education Association. The competition invites high school students to investigate a current environmental topic that affects the world’s oceans, such as plastic pollution in oceans. Students can choose to express their findings in art, essay, advocacy or poetry form. The RotoArt Contest has grown from a small, local competition in New Zealand to an international event with entries from high school students all over the world. The competition is held once every two years and accepts visual art entries on any theme and in any media (excluding photography). 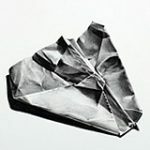 50 finalists are exhibited at the awards ceremony in Hamilton, New Zealand, where the artwork is available for sale, with the proceeds going to the artists. The artworks are also shown in other exhibitions around the country. There are two sections to enter: Section (A) for students that are residents of New Zealand or the Cook Islands and Section (B) for those residing elsewhere in the world. The winner of Section (A) receives NZ$1,000 and a 21 day trip around the USA, while the winner of section (B) travels to New Zealand, with the option of bringing a chaperone. Both winners are hosted by Rotary Clubs in each country. The annual Saatchi Gallery / Deutsche Bank Art Prize for Schools has no restrictions on what works can be entered. All works, from sculptures to installations to paintings are eligible for submission. Students aged 18 and under from anywhere in the world are invited to take part in this prestigious competition. The winner is awarded £2,000 for themselves and £10,000 for their school’s art department. Two runner-ups also receive £1,000 and £5,000 for their school. 20 shortlisted entries feature in an exhibition at the Saatchi Gallery in London. There is no entry fee and entries are submitted online. The annual Science Without Borders Challenge invites secondary students to create a media project to raise awareness of the need to preserve, protect and restore the world’s oceans and aquatic resources. The theme and requirements of the competition changes each year but remain relevant to conservation of the world’s oceans. In 2013, a 1-5 minute science video addressing ‘How are we all connected to the oceans?’ was required, while in 2014, students were invited to submit two-dimensional artworks on ‘Protect Our Coral Reefs’. The competition is open to secondary school students across the globe, 14 to 19 years of age. A US$300 scholarship and iPad Mini are awarded to the 1st place prizewinner and a US$250 scholarship prize to the 2nd place prizewinner. Admission is free. The Sony World Photography Awards is free to enter and open to anyone aged 19 and under. Entrants are invited to submit photographs into one of 3 categories: culture, environment and/or portraits. The winning images will be displayed in a photography exhibition in London as well as the ‘Winners’ Book’. Winners also receive exposure on the World Photography Organisation website, global media attention for their work and DSLR photography equipment from Sony. The overall winner receives the title of ‘Sony World Photography Awards, Youth Award Winner’ and also wins flights to London, accommodation for two nights as well as VIP tickets to the Sony World Photography Awards gala ceremony. This is a competition you want to win! The Artist’s Magazine hosts an annual art competition that is open to artists anywhere in the world who work with traditional, two dimensional media. Student or beginner applicants (young artists aged 16 years and older) must have been enrolled in a post-high school art programme or have pursued art on their own for no more than 4 years. There are five 1st, 2nd and 3rd place prizes in the Student/Beginner Division. 1st place winners receive US$150, 2nd place US$75 and 3rd place US$50. Winners in this division are also featured in The Artist’s Magazine and receive a 1-year membership to the NorthLight VIP Programme, which includes a yearlong subscription to The Artist’s Magazine. There are five categories to enter: ‘Portrait/Figure’, ‘Still Life/Interior’, ‘Landscape’, ‘Abstract/Experimental’ or ‘Animal/Wildlife’. Entry fees range from US$15-US$20. The annual International Children’s Painting Competition on the Environment was launched in 1991 and has since received over 3 million submissions from children all over the globe. The competition is organized annually by the United Nations Environment Programme (UNEP), the Foundation for Global Peace and Environment, Bayer and Nikon. These corporations hope to educate children and bring attention to important environmental matters. Each year, a new theme and sub-theme are announced for the painting competition. A prize of US$2,000 and an all-inclusive trip to a UNEP event will be awarded to the 1st place prizewinner. Children are free to use any style of painting or any media they wish to create their entries. The competition is free to enter and is available to children all over the world, aged 6-14 years. The Japan Quality Assurance Organization and International Certification Organization Network, in partnership with UNICEF Tokyo, have hosted the International Environmental Children’s Drawing Contest since 1999. The competition provides children with an opportunity to think about the environment in an appreciative and sensitive way. Entries must be a hand drawn artwork. All entrants receive a participation prize, with 48 of the top entries receiving special awards. The contest is free to enter for children 7-15 years old from all over the globe. The United Nations wants to get ordinary citizens to showcase their creativity by getting involved in fun and exciting challenges. Competitions aboutn various themes are frequently organized throughout the year, from crystal growing to short films on healthy nutrition to political cartoon drawing contests. Each challenge raises awareness about a particular topic and brings creativity to real-world situations. Most challenges require no entry fee, and with monetary prizes of up to $10,000 awarded, this is definitely something to check out! CelebratingArt seeks to motivate and reward children by having them enter the CelebratingArt contest for the chance to have their work published in a book. Paintings, computer art, sculptures or drawings by any student from grades K-12 in the USA may be entered in the competition. 10 winners from each grade group (K-3, 4-6, 7-9, 10-12) and their art teachers will share over US$5000 in prizes. Winning works will be compiled in a full-colour, hardback book that will be available for purchase. All winners win a free copy of the art book. The Congressional Institute provides educational material on Congress to the public. They sponsor an annual visual arts competition for high school students in hopes of encouraging artistic talent across the United States, in each congressional district. The competition is open to high school students only, in grades 10-12, enrolled in schools in the United States. Paintings, drawings, collages, prints, mixed media works, computer-generated art and photographs are accepted for judging. Winning works are exhibited for one year. This competition is sponsored by the Ford Motor Company Fund and Lawrence Technological University. Graduates from Lawrence Technological University’s Transportation Design and Industrial Design programme have a 100% placement in the industry, with offers from large companies such as Ford, VW and Nissan. High school seniors in the United states who are interested in enrolling in these courses straight after high school are encouraged to enter. The creative brief requires applicants to design either a small sport utility vehicle or related products that reflect the traditional aesthetic of the classic Ford Bronco. 1st, 2nd and 3rd place prizewinners are awarded US$52,000, US$40,000 and US$24,000 scholarships toward their chosen programme at Lawrence Technological University. Hosted by the Juanita and Ralph Harvey School of Visual Arts at Midwestern State University, the High School Art Competition is open to all students enrolled in regional high schools in Texas. Participants do not need to be enrolled in an art class. There is no entry fee and submitted work can be from any of the following categories: ceramics, drawing, computer graphics, sculpture, photography, printmaking, painting or mixed media. A maximum of fifteen two-dimensional works and five three-dimensional works can be entered into the competition per applicant. Commendable works are eligible to win cash awards totaling US$1,400. Scholarships in the amount of US$4,000 are also awarded to high school seniors wishing to major in Art at Midwestern State University. The unique Mystery Build competition invites participants to create a work of art using a Mystery Build Kit, without knowing what will be included inside. It combines resourcefulness and puzzle solving with art to showcase creative talent and skill. In addition to the kit, participants may also use liquids such as paint or glue to create their masterpiece. Outstanding entries compete to win over US$21,000 in cash prizes. The purchase of a Mystery Build Kit also includes entry to the competition and access to online tutorials and videos. â€¨Entries are unlimited and can be made individually or as a team. The competition is open anyone in the USA or Canada. Sponsored by the National Geographic, this annual photography competition is open to legal residents of the United States in grades 9-12. Entrants must submit an original photograph that encompasses what exploration or adventure means to them, along with a short description (100 words or less) explaining this. Each entrant is eligible to submit up to five photographs for judging. The Grand Prize winner has the option of an all-inclusive trip to Paris, London, Prague or San Francisco for a National Geographic Student Expedition Photography Workshop. The value of this prize is estimated to be US$7,000. The 2nd and 3rd place prizewinners receive a $250 and $100 gift certificate to the National Geographic online store. Applications are judged on photographic quality (50%), how well the photograph conveys a sense of exploration or adventure (25%) and the quality of the photograph’s description (25%). Each year, the National YoungArts Foundation grants up to US$10,000 in monetary awards, as well as inviting its winners to take part in master classes and courses with world-renowned artists and professionals. Submissions can be entered into the visual, literary, design or performing arts categories. The competition is held annually and is open to students in the USA, aged 15-18 (or in grades 10-12). International students who are studying in the USA on a student visa are also eligible to apply. Application to YoungArts requires an online submission and audition tape or portfolio. Applications cost US$35 per category. Applicants are eligible to submit in more than one discipline or category. The Scholastic Art & Writing Awards was launched in 1923 and has become the largest source of scholarships for young, creative students in the United States. Winners of the Scholastic Art & Writing Awards that have gone on to become icons in their respected fields include Andy Warhol, Sylvia Plath and Stephen King. Students enrolled in schools across the United States and Canada in grades 7 through to 12 can apply. There are a total of 28 art and writing categories to enter. Scholastic partners with over 100 visual and literary arts organisations each year to award students and their schools with over US$250,000 in prizes and scholarships. There are opportunities for submitted works to be published in Scholastic publications including the National Catalog and The Best Teen Writing, which are distributed to schools and libraries nationwide. The Take a Shot at Changing the World competition invites students to find big ideas that can create change in the world. Applicants must make a movie about their big idea, including what changes should be made and what issues need to be addressed in their community, school or neighbourhood. Exceptional submissions and ideas will receive cash prizes of US$1,000-US$3,000. The competition is only available to students in grades 6-12, attending public or private schools within Pennsylvania, USA. The Berks Photographic Society is a charitable organization that supports amateur and professional photographers in their creative pursuits. Each year, they sponsor the High School Photography Competition, inviting students in grades 10-12 from Berks County, USA, to pick up their cameras and take part. Photographic work of any theme can be submitted for judging. Scholarships are awarded to 1st, 2nd and 3rd place prizewinners and all submitted entries are publicly exhibited. This competition is open to high school students Alaska, American Samoa, Arizona, California, Colorado, Guam, Hawaii, Idaho, Kansas, Montana, Nebraska, Nevada, New Mexico, North Dakota, Northern Mariana Islands, Oklahoma, Oregon, South Dakota, Texas, Utah, Washington, Wyoming. Students must create two-dimensional works, drawing upon sources such as state history, landmarks, natural resources, parks, monuments, communities and culture etc. The overall winner receives $1,000, with second place awarded $500. Winners of each indivual state receive $200. UpStArt is an organisation on the look out for emerging artists in London, England. Each year UpStArt hosts the Student Art Competition, which is free to enter and is open to year 13/upper 6th artists at schools in Greater London. Painting, illustration, ceramics, mixed media, photography and sculpture pieces of any theme are accepted for judging. Three winners are awarded Cass Art vouchers worth £1,000 and £500, with work placement at UK Greetings Cards. Students also win master classes for their schools with graffiti artist Nick Walker, Bean artist Kev F and graphic novelist Sarah Lightman. Finalists’ works is exhibited at Strand gallery, London. Judges include Goldsmiths, Central Saint Martins, Royal College of Art, Saatchi Online and Sky Arts. The Public also have a vote in determining winning entries. Open to all Australian students aged 12-19, the Black Swan Youth Prize encourages young artists to be confident in themselves and their creative skills. Students can choose to enter in either the portraiture or the heritage category. The Young Portraiture Prize invites students to paint a portrait of themselves or a well-known Australian that they respect and admire. There are 1st, 2nd and 3rd place prizes of up to AU$1,000 to be won, as well as great prizes for schools. The Young Heritage Prize challenges students to create a piece of art that portrays the heritage of the city of Perth, Australia. The prize aims to raise awareness and educate children on the history of Central Perth. 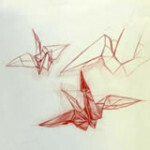 There are 1st, 2nd and 3rd place prizes of up to AU$500 to be awarded for outstanding entries. The competition runs annually and there is a fee of AU$15 per entry. Each July, the Cossack Art Awards attracts thousands of creative types to the small town of Cossack in Perth, Australia. The annual award is fast becoming a nationally recognized event and provides the highest acquisitive prizes of all art competitions in Australia. In conjunction with multiple national organisations, the Cossack Art Awards provides over AU$90,000 in monetary prizes to exceptional candidates each year. There are 9 categories to enter in with one artist winning the ‘Best Overall Artist’ prize of AU$15,000. 330 entries are accepted into the competition, with submissions closing once this number has been reached. 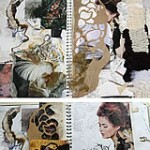 All works are exhibited and sold, with the artist receiving a 27.5% commission. Applicants must be Australian residents aged 16 years and over. There is an entry fee of AU$35 per artwork. The Lloyd Rees Memorial Youth Art Awards hopes to support young artists by providing them with the funds to jumpstart their artistic careers. The awards are held every two years, with the next awards in 2015. The competition is open to residents of Australia, 18-30 years of age. 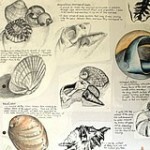 All drawing, painting and printmaking artworks are eligible for entry. The Lane Cove Council is the major sponsor of the event and provides the winner with a grand prize of AU$5,000 for their work. A Highly Commended prize of AU$1,500 (funded by the Lane Cove Art Society) and a Commended prize of AU$1,000 (provided by Centrehouse Art Centre) is also be awarded to exceptional candidates. The Blake Society is a non-profit organization that seeks to encourage the exploration of spirituality, religion, belief and human justice through art. Each year since 1951, The Blake Society has organized the Blake Art Prize, which consists of 4 separate awards. The John Coburn Emerging Artist Award is an AU$5,000 award for emerging artists. The competition is open to Australian residents and all applicants must pay a $55 handling fee for their work. The Moran Contemporary Photographic Prize honours Australian contemporary photography. The theme for this prestigious, annual competition is ‘Contemporary Life in Australia’, with particular emphasis on day-to-day life. There is the chance to win up to AU$5,000 for students entering the competition and each winner’s school wins an equal amount to further develop their arts curriculum. Winning pieces are featured permanently as part of the Moran Arts Foundation Collection. Australian residents or citizens are eligible to enter the Moran Contemporary Photographic Prize competition. All entries must have been taken in Australia. There is an entry fee of AU$25 per application. Sponsored by The Young At Art Initiative, this competition is open to Australian primary and secondary school students and is free to enter. Children can choose to enter into any one of the following categories: drawing, painting, photography or computer art and will be judged according to 3 different age groups (junior: prep to grade 4, middle: grade 5-year 8 grade, senior: year 9-12). There are awards for both students and teachers to be won. Honourable Mention, Gold Award and Silver Award winners receive a trophy and all other finalists are awarded a special certificate. There is also the Art Teacher Award and the Gold Apple Teacher Award to be won for outstanding teachers. All awards are presented at the annual Young Australian Art Awards held in October/November each year. Canon EYEcon is a competition for emerging photographers and filmmakers in New Zealand. Tertiary students currently studying photography or film, assistant photographers, film assistants, and Year 12 and 13 high school photography students are invited to take part in the competition. Photography submissions require a selection of three A4 photographs, as well as a 500-word supporting paragraph. Film applications require a 1-3 minute video that is representative of the applicant’s style and genre, and a 500-word supporting paragraph. Overall winners receive $3,000 Canon dollars to spend on Canon equipment, NZD$1,000 cash, the opportunity to work with professional photographers and media, and more. The Hokonui Fashion Design Awards is open to New Zealanders of all ages and is not restricted to those studying or working in design. There are two sections to enter: the school section for primary-secondary school students and the open section. Submissions into the school section incur a $25 entry fee and designs can be submitted into the ‘Streetwear’, ‘Nightlife’ or ‘Recycled’ category. 1st and 2nd place winners in this category will be awarded NZ$500 and NZ$100, respectively. There are no design restrictions and any materials can be used that are suitable to the category entered. There are also special awards to be won including the â€¨Young Designer Award for applicants under 21 (winner will receive a NZ$4000 package, including registration to Auckland Fashion Week). Open to New Zealand high school students in Years 11-13, the New Zealand Animation College seeks young and emerging talent, nationwide. With a first place prize of over $10,000 in cash and Adobe, Wacom and Gordon Harris prize packs, this illustration competition hopes to set outstanding applicants up for a successful and creative future. The design brief requires entrants to design a 2D or 3D character with both a light and dark side. Applicants have the option of choosing from a selected list of contrasting emotions. These are: triumph, curiosity, excitement, love, serenity or happiness vs. rage, fear, disgust, shame, frustration or despair. Illustrations can be created using any medium. The Waikato Society of Arts presents the New Zealand National Youth Art Awards, a competition established to support visual arts in the community. New Zealand artists between the ages of 15 and 27 are able submit their artworks into the competition. All creative pieces in any media, including two-dimensional, three-dimensional and video, are accepted for judging. 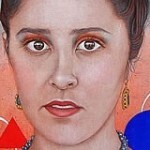 The National Youth Art Awards provides over NZ$4000 in prize money to outstanding applicants. As well as 1st, 2nd and 3rd place prizes, there is also a ‘Best Digital’, ‘Best Young Waikato Artist’ and ‘People’s Choice’ award to be won. AUT University hosts The Original Art Sale each year, Auckland’s largest art market. Over 1,200 artworks are curated for this unique 3-day event, which attracts thousands of art collectors and buyers from all over the country. The show has an exclusive wall for student entries. 40 works are chosen for exhibition at the event. The 3 best works will be announced at a special Gala Night and the winners receive cash prizes sponsored by AUT University. Applicants into the Secondary School Art Competition must be a secondary student from the Auckland Supercity region. All submitted works must be two-dimensional. Entries are free of charge. The Schools’ Trash to Fashion Awards is an event organized each year by the Auckland Council in partnership with the Keep Waitakere Beautiful Trust, who hope to raise awareness on environmental and waste issues through creative arts. All primary, intermediate and secondary school students from New Zealand are invited to turn ‘trash’ into ‘fashion’ by designing and producing a garment made from waste materials. The annual competition has fast become one of Auckland city’s most prominent eco-art events. Finalists showcase their designs at a special runway show, with NZ$16,000 worth of prizes awarded to the most commendable entries. There is an entry fee of NZ$5 for individual submissions and NZ$10 for team entries. The competition is open to students in New Zealand aged 5-17 years old. The Texaco Children’s Art Competition began in 1955 with the goal of fostering a young love of art in children. 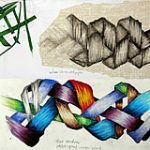 Original drawings, paintings or prints using any media and on any subject matter are eligible for submission to the competition. Winners of the Young Adults category have the chance to win cash prizes of up to €1,500. Special merit awards are also granted for young adults, including Art & Hobby art boxes valued at €150. The children’s categories also have the chance of winning up to €400 of Art & Hobby vouchers. 1st, 2nd and 3rd place winners and special merit award winners are invited to the Texaco Children’s Art Awards Ceremony where their work will be displayed. The competition is free to enter and each person can submit up to two individual artworks. Entrants must be under 19 years old by the competition closing date and must be residents of Ireland. The Tesco Bank Art Competition for Schools aims to make the National Galleries of Scotland a pleasurable place for young children. The competition allows children to engage with and be inspired by the art in the gallery and encourages art education across the country. A list of themes is announced each year with a special category for special education schools and group entries. 53 winning entries are announced and all winning works feature in a calendar that is sold in the gallery’s shops and posted to every school in Scotland. Admission is free of charge and is open to students in schools across Scotland. If you have a competition that you would like to submit for this list, or have found a competition on this list which is no longer running, please contact us. NB: We do not intend to list every competition, but rather those that award significant prizes and/or fame to those who win. Some competitions are run purely as a mechanism for garnering traffic or interest in a company or business, and offer minimal prizes or benefit to the Att students who enter. Competitions of this nature are not included. Thank you!